Thanks for stopping by! i'm Muzahid. Currently residing in Gunma, Japan. An uncle of mine is lives here for quite some time now and so my parents have sent me to study here and live with him at his place. i'm also working a part time job at a Mcdonalds and have finally saved up for my first car here! 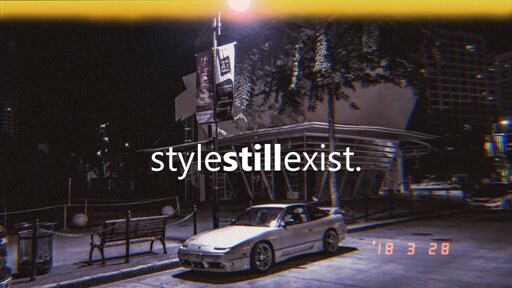 it's a 1994 Nissan Silvia S14 Zenki. A mildly tuned one at that. The engine is a VVT SR20DET with a 5-speed manual. Exceptions being it has a nameless front mount intercooler, and i believe an HKS air filter. All in all i paid 3200 V$ for the car. Pretty cheap for what it is but then again the body needs buttoning up and its been sitting for a year so. Thats it for now. hope you like the car! Really nice s14 boi ! VVT SR20DET call "SR20VET". Nice S14, she need love. # Dr. Zoom : VVT SR20DET call "SR20VET". Nice S14, she need love. Wait i thought the VVl had a different head compared to the S14-S15 VVT sr20? # Niatross : Wait i thought the VVl had a different head compared to the S14-S15 VVT sr20? My mistaken, you are right. I'm sorry my error. # Dr. Zoom : My mistaken, you are right. I'm sorry my error. # Nightrunner : Really nice s14 boi ! Yeah it sure does, it's gonna get it soon! After some diagnosing i discovered the idling issue was because of some frayed wires in the engine bay. Got those soldered, and now she runs like a charm. That followed by a full oil change. After that i took the car to a local touge to test out my home-made alignment. Noticed some weirdness on the handling but nothing a shop alignment can't fix. But its drivable and somewhat driftable for sure! Fitment is way better now! I like those wheels too. # Lagano : Fitment is way better now! I like those wheels too. After trips to 2 different UpGarage's around the area, i managed to pick up the 326power bumpers! still missing the wing and fenders though. Nicce it need good spoiler then it time paint. # Dr. Zoom : Nicce it need good spoiler then it time paint. New wheels i ordered from Art of wheels just came in. and i threw them on real quick for some photos. 18" MB Design LV1's, wrapped in some trusty Dunlop Direzza's. After enough drooling over a set of wheels i decided to take the car for a spin, cuz why not? That'll be all for now. Thanks for stopping by! You made the perfect combo with those wheels and bodykit! Both are hotboi stuff hahaha. And it actually looks even better wingless and with stock fenders, looks cleaner for some reason. # Lagano : Why is everyone dying? It looks really good man ! Like the style of this car and the fitment tho ! # Nightrunner : It looks really good man ! Like the style of this car and the fitment tho ! Drove the car all the way up to ebisu today, with my spare drift wheels in the trunk. First thing i did was visited a nearby UpGarage, and scored some sweet eyelids and an Origin roof spoiler. After about 2laps i pulled up to the pits to take off my front and rear bumpers. And also change the rear wheels out. ooof cant wait to get my s15 drift ready so we can drift together ! # Nightrunner : ooof cant wait to get my s15 drift ready so we can drift together ! How did it go with 18 inch wheels? Well my S14 has 18's too but even with a RB26 it can be hard to spin them sometimes! I'd say you had too much grip but if you worn the tires out to the wires i guess it became easier to get the drift going eventually haha. I'll go to a drift event this saturday, it's been a while since i drifted all out on a track so i can't wait!! # Lagano : How did it go with 18 inch wheels? Well my S14 has 18's too but even with a RB26 it can be hard to spin them sometimes! I'd say you had too much grip but if you worn the tires out to the wires i guess it became easier to get the drift going eventually haha. I'll go to a drift event this saturday, it's been a while since i drifted all out on a track so i can't wait!! # Shez : Sick S14 mate !! HMMMM such a relief to see that this S14 isn't a garage queen at all. 326 goodies but being driven the right way. Love it, keep it up dude! # RocketBunnyS13 : HMMMM such a relief to see that this S14 isn't a garage queen at all. 326 goodies but being driven the right way. Love it, keep it up dude! And now the waiting for it being painted begins. That'll be all for today. As always, thanks for stopping by! that S14 looks aaaaall good to me!